High-risk medicines are those that have a high risk of causing injury or harm if they are misused or used in error. Error rates with these medicines are not necessarily higher than with other medicines, but when problems do occur the consequences can be severe . Internationally, many safety organisations recommend that hospitals and health services identify the high-risk medications they use through review of incident data and published information. Once identified, efforts should be made to increase safety through development of protocols, policies or guidelines to assist clinicians. 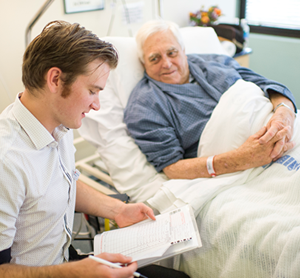 The High-Risk Medicines Program provides resources and to support hospitals with implementation of the NSW Health High-Risk Medicines Management Policy (PD2015_029). The program also provides support for local health districts and individual hospitals to meet the National Safety and Quality Health Service Standard relating to high-risk medicines. The High-Risk Medicines Management program is a component of the CEC Medication Safety and Quality Program. American Pharmacists Association. Medication Errors. 2nd ed. Washington DC American Pharmacists Association 2007.